Our website gives you honest and true video testimonials which will give you an insight to our Unique Service. Let our staff customize a cleaning service program to suit your individual needs and your budget. Whether you require daily, weekly or monthly service, or just one-time only service, you can count on Bulldog Carpet Cleaning for top-notch cleaning at unbeatable rates. If you're ready for spotless results, call the cleaning business with a spotless reputation. 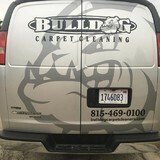 Bulldog Carpet Cleaning is a Carpet cleaning company whose employees are specially trained in the most modern and effective cleaning techniques. We work diligently to ensure that all cleaning service plan specs are performed to the highest industry standards. We are not satisfied with our cleaning services unless you are! We constantly monitor our work and should any area fail to meet our strict cleaning standards, it will be corrected immediately. And of course, we always encourage customer communication and use your input to heighten our level of carpet cleaning services. Clean Bee prides itself on providing our customers with the best service experience possible. We promise the technicians working in your home will be polite, respectful and skilled in the art of textile cleaning and protection. Whether it's Residential, Commercial Businesses, or Multi-Unit Properties we are your carpet, dryer vent, and air duct cleaning specialists in Northwest Chicago-land! Our fleet of trucks can reach anywhere and our 40+ years of experience will guarantee that whatever you need, it will be done right; the first time, every time. Founded in Wheaton in 1939, Best Way has been serving the western suburbs of Chicago for generations. Owned and operated by the same family that started the business, Best Way is still steeped in the same traditions of quality and personal service that have been our core principles for 77 years. We take pride in our humble origins and that sense of pride shows in our work. In fact, it is because of our honesty, confidence and knowledge that we have been able to remain at the forefront of the flooring industry for so long. Come down to our showroom and see for yourself all the superior services we have to offer. 24/7 live calls, on our way within 1 hour. BBB A+ rated, family owned and operated company. Free estimates, direct insurance billing. Click here to learn more about Trojan Flood and Fire. At Trojan Flood & Fire, we believe that our customers deserve the utmost quality of work! We are always willing to go the extra mile for our customers to ensure their satisfaction. Because we are strong believers in word of mouth advertising, we pay the highest attention to customer satisfaction. We are family owned and operated, and service all of south Chicagoland and surrounding suburbs for water damage restoration. We are ready to respond any time of day – 24/7 for your water, fire, mold, storm emergency in Chicago. When there is water in your home or business, you can’t afford to wait long for help to arrive. We have emergency vehicles ready with all the necessary equipment to remove the water, completely dry it out and get your property back to its original condition fast. Our professional and friendly technicians are fully trained and certified to handle your water damage or fire damage loss from start to finish. Mathew Klujian & Sons Inc.
Mathew Klujian and Sons is a company based on family pride and tradition. Although we have grown and modernized throughout the years, we are proud to say that there are many things that remain the same as the day that Mathew Klujian Sr. opened the store in 1938. For one, we are still located on Devon Avenue in Chicago. It is at this location that all in-plant cleaning, repairs, restoration and sales are done. Our capacity for cleaning is unmatched in the Chicagoland area. We never send your carpets somewhere else to have them cleaned, in fact, many other carpet retailers and cleaners send their customers' rugs to us. Also since 1938, we have continued to personally inspect each rug to ensure that it is cleaned appropriately. Over the years our attention to detail has gained a lot of respect, and today we are even qualified to clean museum quality rugs. Lastly, but most importantly, we still believe in treating our customers with kind, courteous and professional service. 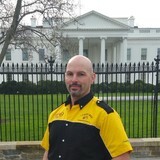 Tim Haugland and Cleaning Staff As a smaller, family owned business, we take pride in controlling the quality of our work. Haugland Bros. was started by Tim Haugland in 1968 out of the trunk of his car. Now 39 years later, Haugland Bros. enjoys a sterling reputation for excellence with their customers and in the industry. Our staff is bonded and insured and has been with us for years. Super Steam Incorporated is a family owned company that specializes in carpet cleaning and restoration services. Our qualified technicians and highly advanced equipment will allow for a complete restoration of your property in an effective and efficient manner. Our service is available 24 hours, 7 days a week. A completely equipped disaster recover team will be on-site within an hour of receiving a phone call. From the minute we receive your phone call to the complete restoration of your property, our team will help you throughout the whole process and answer any questions you may have. Kwik Klean is the go to carpet cleaning company in the suburbs for over 24 years. We guarantee our cleaning where if you think it is still dirty we re-clean it at no charge. 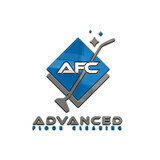 We strictly follow the cleaning guidelines of the carpet manufacturers what they recommend. We use a state of the art with the newest technology truckmounted steam clean extraction. Our photos speak for themselves. Whether you’re moving, never leaving or rediscovering, we are here to help bring your carpet, furniture or other home surfaces back to life. We will help you live healthier through a clean environment. Portable Plus Steam Cleaning is a local, family owned business with 16 years of textile cleaning experience. Over the years we have combined the perfect combination of green cleaning products to give us the cleaning power of strong solvents without harming our environment. We take pride in our work and pay close attention to detail to ensure that you receive the most thorough cleaning possible. Are you tired of having your carpet cleaned and having it be wet for days? Having your carpet wet-cleaned (steam) does just that. Having your carpets and padding wet for that long is perfect for mold and bacteria to grow. That can lead to all kinds of problems, not only with your house, but your allergies. Have you tried the dry foam system yet? Dry foam is a chemical cleaning. I use the Dry Foam system from Electrolux. The foam has the consistency of shaving cream. It's safe to walk on right away, safe for kids and pets, and cannot create any mold or bacteria. Dry foam is really excellent in getting out spots and stains. With my service, everything is included. From pre-spotting, to light furniture moving; and of course, all color brighteners, stain guard protectors, sanitizers, and deodorizers. So have your carpets cleaned, and be able to walk on them and have them dry in no time. Please give me a call for all of your carpet cleaning and upholstery cleaning needs. I also can clean, wax, and buff your hardwood floors. Let me bring back the beauty and shine for a fraction of what it costs to restore hardwood. And, I can clean and seal your tile and grout floors too! A family owned business since 2006, we have meticulously focused on building our reputation by providing an exceptional experience to each and every customer. Centered around our core values, our goal is to offer you a Quality experience at a fair price. Our team of experts are extensively trained to assess your individual needs and with an emphasis on IICRC (Institute of Inspections, Cleaning and Restoration Certification) standards, will execute on the 7-step steam carpet and upholstery cleaning technique. As a result of our core values and our guiding principles (Quality and Integrity) we have been providing quality carpet and upholstery (sofa/couch/loveseat) cleaning services to satisfied customers in Chicago and surrounding suburbs since 2006. We understand how important it is to have a beautiful and clean environment, and we are committed to providing the best carpet cleaning & upholstery (sofa/couch/loveseat) cleaning services in Chicago and the surrounding suburbs. What should I look for in a local Westmont carpet cleaner? Not all Westmont carpet cleaning companies use the same methods, but there are a few common things that they should do to for a quality job. Make sure they do an analysis on the area you need cleaned and recommend the best course of action — are there large stains or high-traffic areas that need extra treatment or attention? Also, make sure they provide quick drying times so that you can be back in your home faster; that means hours, not days! A good carpet cleaning service in Westmont, IL should move furniture (within reason) and put it back in place when they are all done; don't let them charge extra to do this. Another important factor to look out for is whether or not the carpet cleaners use chemicals, and if so, they should be asthma- and allergy-friendly. This is especially important for households that have children or pets. Lots of Westmont carpet cleaning services also clean rugs. Rug cleaning can involve anything from a simple wash to complete re-weaving or foundation work. Make sure the local rug cleaner you choose has experience with the types of rugs you need serviced, especially if they are hand-woven or Oriental rugs. 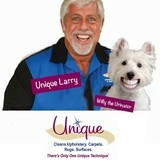 What should I look for in a local Westmont upholstery cleaner? Upholstery comes in many more varieties than carpet and rugs, thus needs cleaning tailored to each specific blend. Even if you don’t know what material your sofa or chair is made with, a good upholstery cleaning service in Westmont, IL will be able to identify it and treat it appropriately. Some textiles require dry cleaning and that can’t be done in home, so if that’s the case, check with the upholstery cleaner and see if they offer pickup and drop off services. Leather cleaning is a bit different and often involves more restoration and conditioning than actual cleaning. Make sure the Westmont furniture cleaning service specializes in leather if you are considering them for the job. Find Westmont upholstery and carpet cleaning services on Houzz. Narrow your search in the Professionals section of the website to local carpet cleaners in Westmont, IL and read reviews and ratings to find one that fits your needs.